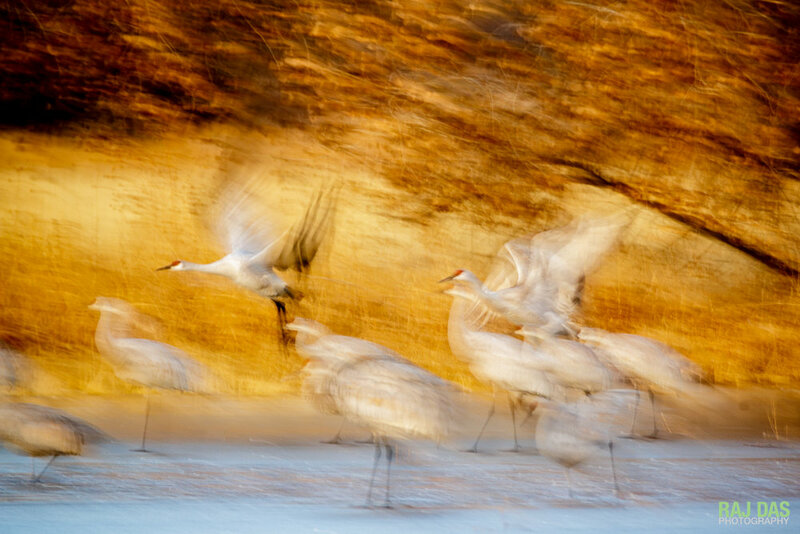 Bosque del Apache National Wildlife Refuge, New Mexico - a spectacular bird photography destination. Happy New 2018! Hope your year is off to a great start. 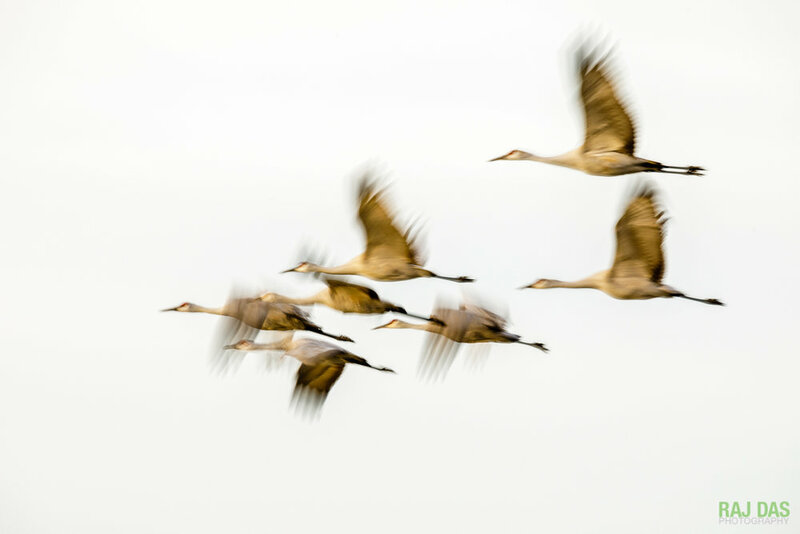 I feel fortunate I was able to start off my new year with a visit to the Bosque Del Apache National Wildlife Refuge in the state of New Mexico. As one of the top rated destinations in the US for bird photographers, it has been on my must visit list for a while now. When a good friend of mine who is on a RV trip across the US South West mentioned that he'd be in New Mexico in Dec-Jan, I jumped at the opportunity and met up with him to spend a week in early January visiting the White Sands National Monument and the Bosque Del Apache National Wildlife Refuge. The 57,000 plus acre refuge which means "Forests of the Apache" in Spanish, is located in San Antonio, New Mexico in the Rio Grande valley at the northern edge of the Chihuahuan Desert. It is a system of wetlands and agricultural lands along the Rio that the U.S. 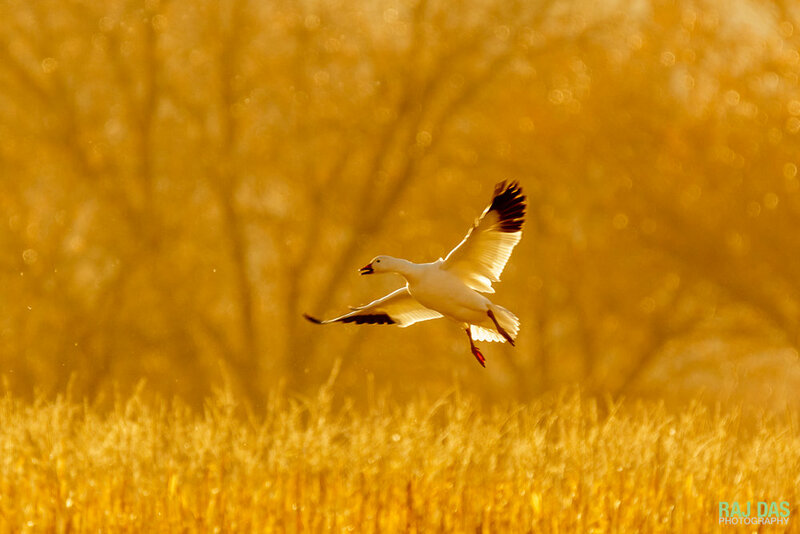 Fish and Wildlife Service does a fantastic job of managing as a refuge for migratory birds and other wildlife. 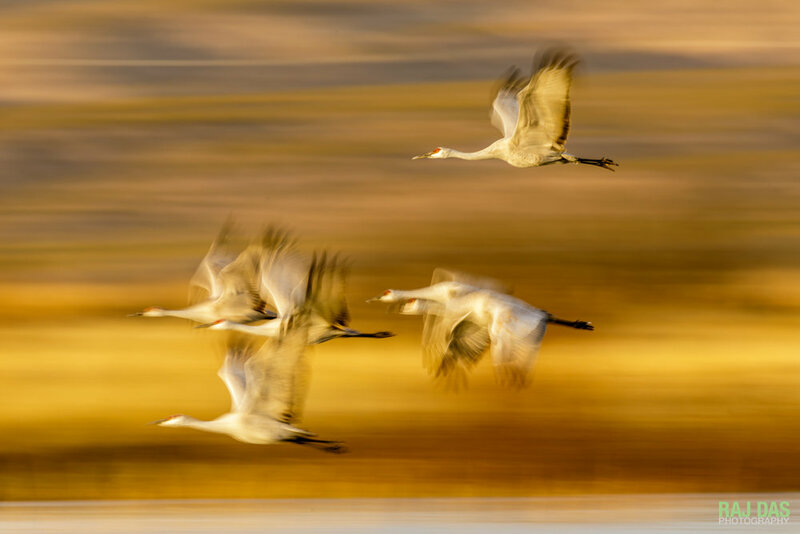 Surrounded by desert habitat with the dramatic backdrops of the Chupadera Mountains to the west and San Pascual Mountains to the south and east, the reserve is a refuge for greater sandhill cranes, snow geese and other migratory birds during the winter. 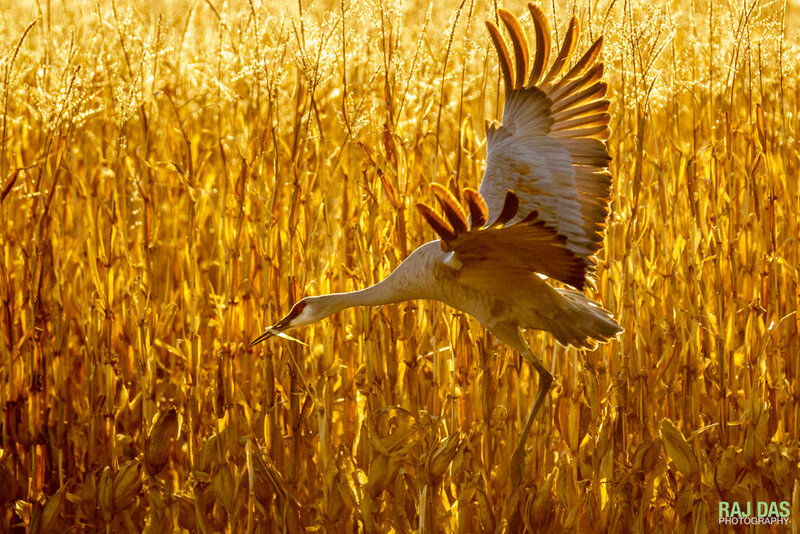 It is one of North America’s top bird-photography hotspots, home to as many as 50,000 snow geese and 15,000 greater sandhill cranes some winters. With sunny weather most of the year, and oriented along a north-south axis, the refuge is known for it's beautiful light in the mornings and evenings. 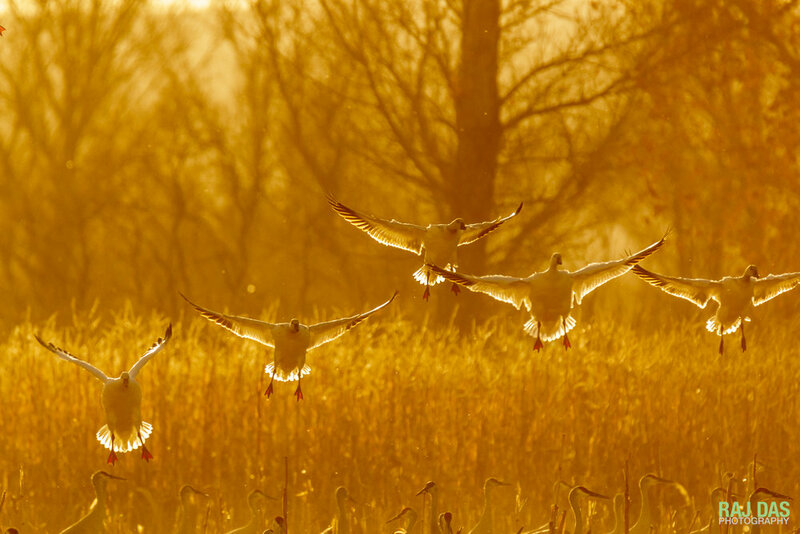 Mornings and evenings are also the times when the geese and cranes fly out and then come back to the refuge to roost for the night. 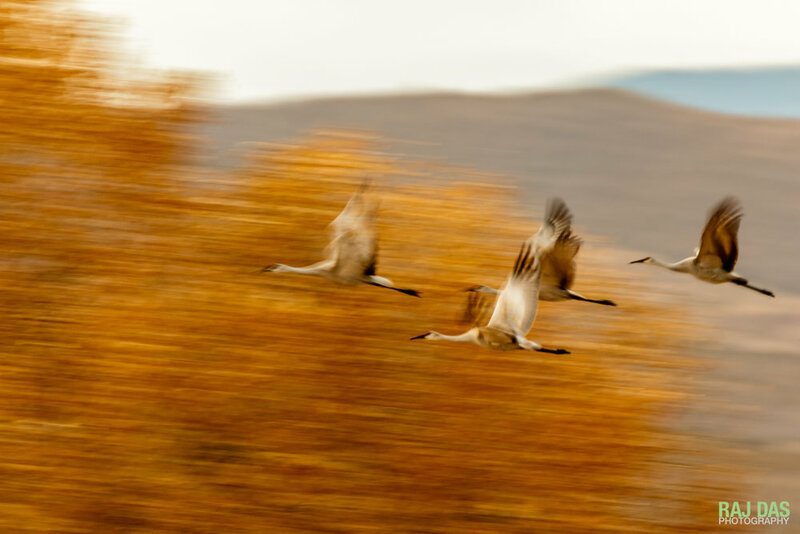 I was inspired by the beautiful golden light, the graceful movements of the birds in flight, and the backgrounds of colorful foliage and mountains at Bosque to make some evocative, painterly images, and not just the usual crisp, sharply-focused images. 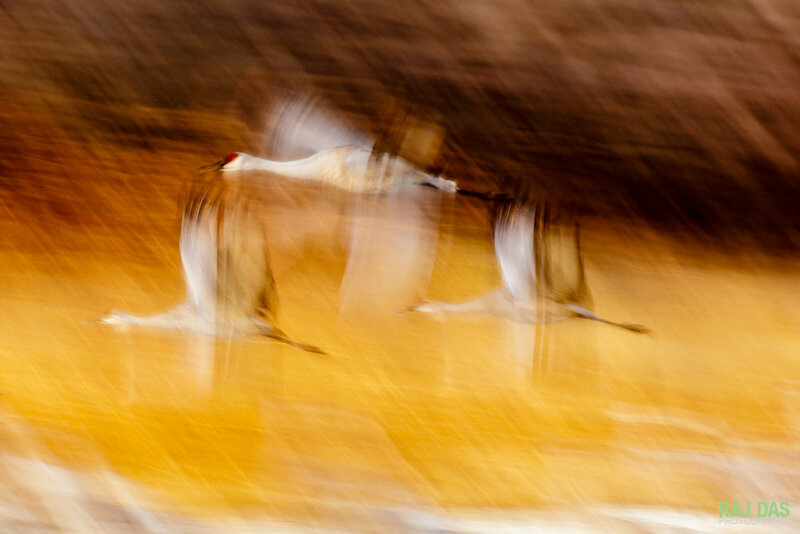 Using a telephoto lens, slow shutter speeds ranging from 1/8th to 1/30th of a second, and panning techniques, I created some images that look like oil pastel paintings and color pencil drawings. All of these images were photographed hand-held and made in camera. This Bosque trip was a wonderful - something I'll remember and cherish for a long time to come. I can't wait to get back there again, hopefully sometime soon. 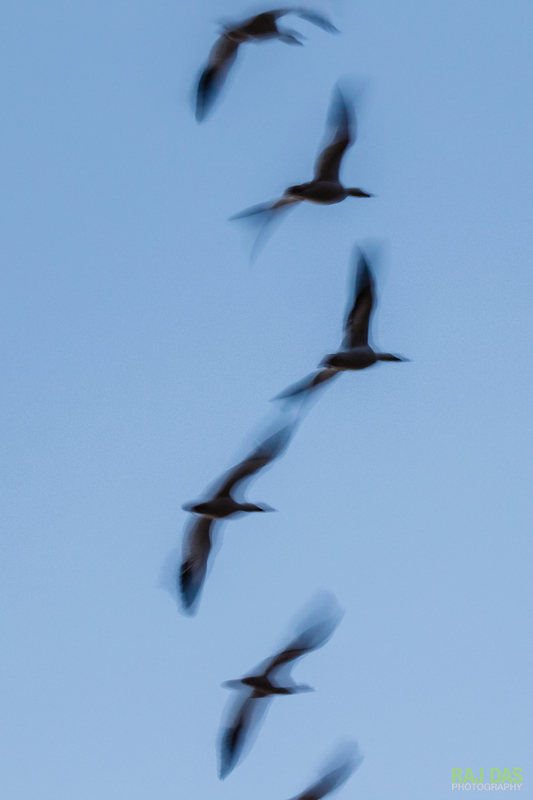 A flock of snow geese against the moon, flying into Bosque del Apache NWR in the morning. 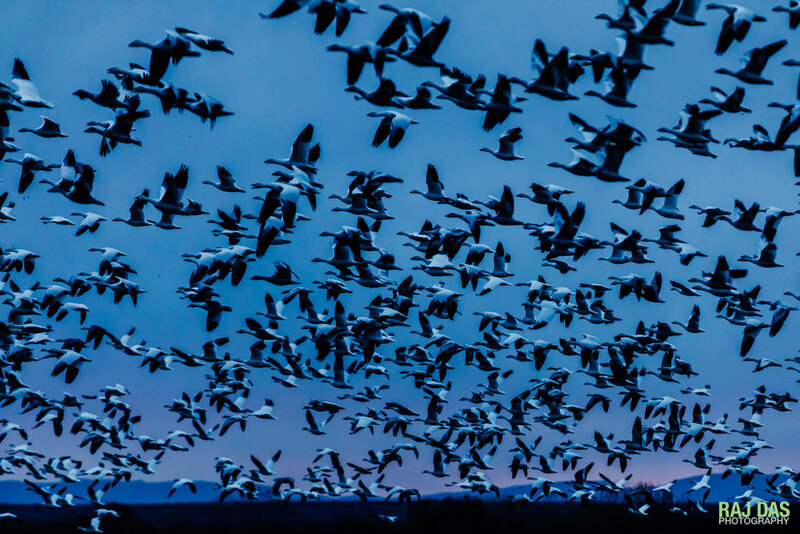 If you're a nature lover or a birder/bird photographer, Bosque Del Apache in New Mexico should be a must-visit destination for a fall or winter getaway.